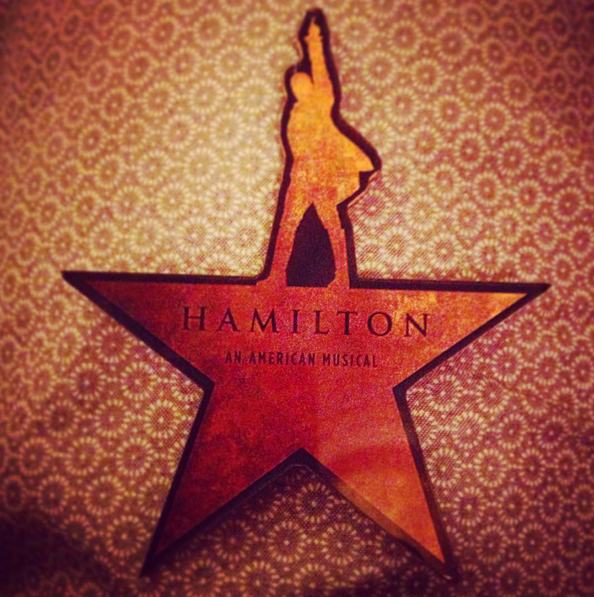 If you follow musical theater at all, you’ve heard a lot about Hamilton: An American Musical. It’s been touted as the greatest musical of the decade/since A Chorus Line/Of All Time. But it’s often hard to found specific information in such effusive praise. Since I was #blessed enough to see it this past weekend, and in honor of NPR being awesome and streaming the cast album (and its upcoming digital release on Friday and CD release in mid October), here are the 10 things you need to know about Hamilton. I would disagree with the notion that it is “Revolutionary” or a “Game Changer”. This isn’t a criticism of the show per se, more of an attempt to bring it down from the mythic level of expectations to something more reasonable. the first 15 minutes are not that great. it kinda feels like In the Heights in 1776 costumes on the set of Robber Bridegroom. It’s perfectly watchable and sets up everything it needs to set up, but i was definitely concerned that the show would not live up to the incredible hype. The show really starts to come alive once the Schuyler sisters enter. Partially because Renee Elise Goldsberry (who plays Angelica) and Phillipa Soo (who plays Eliza) are incredible performers. Partially because that’s when the score starts to take on different colors and styles (the opening is heavily reliant on Lin Manuel Miranda’s rapping which isn’t bad but WE’VE SEEN IT). Rennee Elise Goldsberry and Phillipa Soo are incredible performers (it bears repeating). Renee in particular is stunning. The minute she walks on stage she radiates that special something and you know you will be invested in her for the rest of the evening and will only be able to watch her whenever she’s onstage. (The only other time I’ve experienced that kind of magnetism was Amy Morton in August: Osage County). She should win every award in whatever category she is nominated in. Featured Actress, Lighting Design of a Play, whatever. Phillipa is the emotional core / heart of the show. “Helpless” and “Satisfied” comprise the most outstanding 10 consecutive minutes of musical theater i have ever seen live. SPOILERS FOLLOW (skip to #6 if you want to avoid them). “Helpless” is a wonderfully catchy-sweet account of Eliza’s courtship with Hamilton – seeing him across the room at a party, being too shy to go up to him and asking Angelica to make an introduction, letter writing, asking for parental blessings – culminating in their wedding. For a song that covers a lot of plot and exposition, it is a pure musical delight. A “musical scene” in the truest sense of the word. And it truly sounds like something you could hear on the radio today. That song is followed by Renee Elise Goldsberry’s toast the couple that goes back and replays the courtship from her (very different) point of view. The vocal performances of both songs are impeccable and the staging is exciting and clear. The combination of writing, performance, and stage craft was truly dazzling. The second act might be better than the first. While it might not have a moment quite as breathtaking as “Helpless”/”Satisfied”, it doesn’t have the same sluggish exposition that starts Act 1. It also features some more generally moving emotional content (much of which is supplied by Soo) and a tremendously winning performance by Daveed Diggs as a smug (and hilarious) Thomas Jefferson. Diggs does a respectable job playing Lafeyette in Act 1, but as Jefferson he threatens to steal the show. The show is REALLY INTERESTING. In addition to being a wonderful musical, it is a legitimately fascinating, detailed, and nuanced look into the founding of this country. This is one of the most fluid, organic stagings of a show I have ever seen, and also among the most simple. A unit set with some well-used revolves. No projections, very little furniture. And yet I was never confused about where I was or what was happening. The score is impressive not just because it uses a contemporary sound to make a historical tale feel visceral and relevant. The score is beautifully layered and complex and fully integrated within itself. Each song feels like a fully realized and distinct musical idea, and yet will often (especially in Act 2) feature lines and motifs from earlier in the show. This gives the score both a great deal of variety and a wonderful sense of cohesion. As impressive as this current original cast is, the shows greatest strengths are its writing, staging, and design. So you will have a full and moving experience regardless of what cast is in whenever you are finally able to get a ticket.